Offering you a complete choice of products which include italian espresso coffee machines. 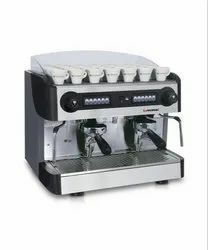 Offered by us are Italian Espresso Coffee Machines (Club-PU).CLUB-PU is a line of single-unit professional espresso coffee machines with reduced dimensions and high levels of performance. It has standard auto leveller, single-scale manometer for the visualization of boiler pressure, volumetric pump.